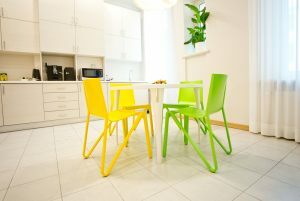 Villa Vellamo located at Lehmonkärki in Finland is furnished with our Flow chairs colored in black. 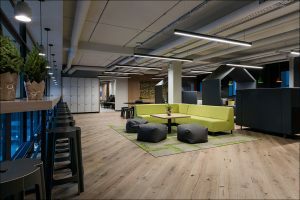 Design project by Samuli Hintikka (dSign Vertti Kivi & Co). 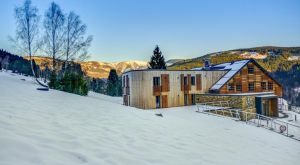 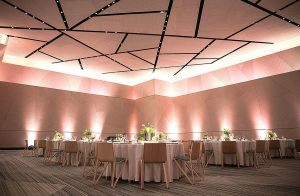 Every element of the building has been elaborated to match perfectly the place and events. 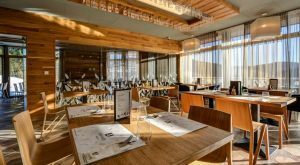 The William Vale hotel located in Brooklyn, New York, USA, has chosen our Zesty chairs with a bleached oak finishing and upholstered seat pad. 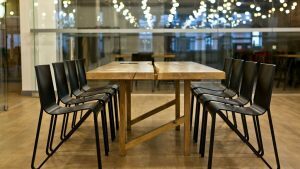 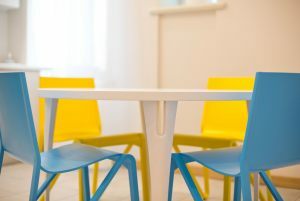 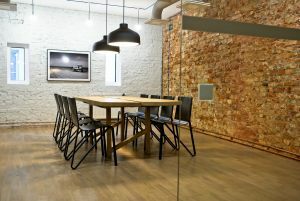 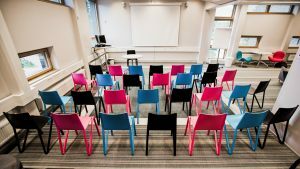 Zesty chairs for the conference and meeting rooms in Nordic Club House, Riga Old Town. 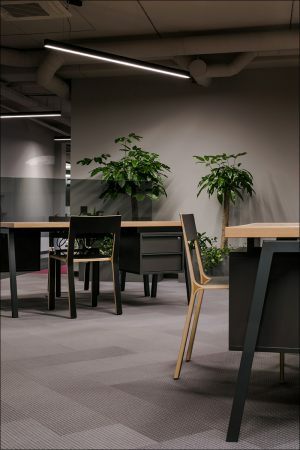 For this project Zesty was chosen in a black pigmented lacquer finish, which is a great fit for modern Scandinavian design office interior. 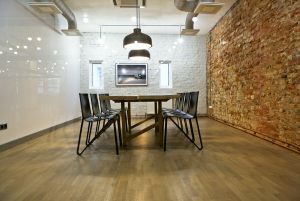 Our client Decospan is wood veneer developer based in Belgium. 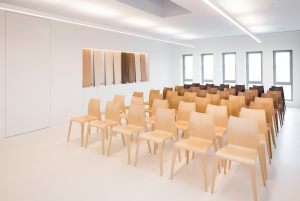 They have the same focus, idea and feeling about natural wood veneer, it’s possibilities and care for the nature as Plycollection has – creative and innovative, yet with respect for environment. 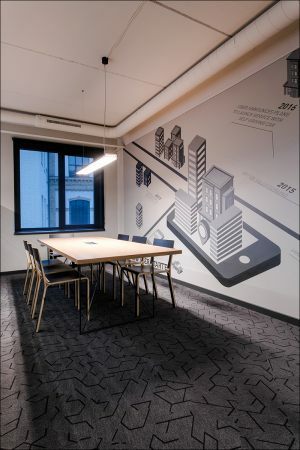 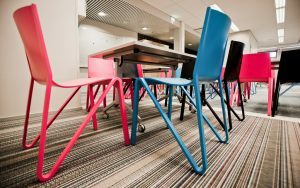 We are happy to introduce you to one of our latest mini reference project where Zesty chairs are chosen as a colorful accent to the dining area of Reckitt Benckiser Ltd office space in historical Riga Old Town. 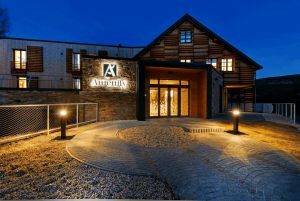 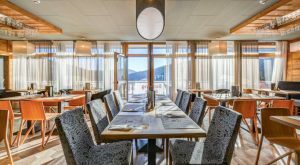 Recently our Zesty chairs were chosen for the Amenity Hotel / Ski Resort in Špindlerův Mlýn, Czech Republic. 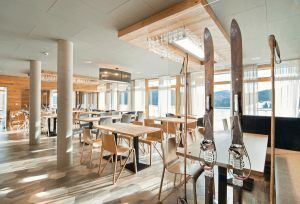 Excellent interior design with natural wood accents fits perfectly for a restaurant in Ski Resort. 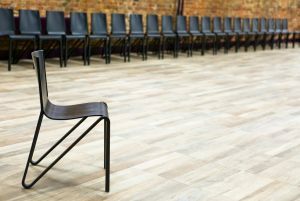 Choosing our Frame chairs for the ‘Ūsiņš’ gastro-pub in Kurbads hockey hall wasn’t a random idea. 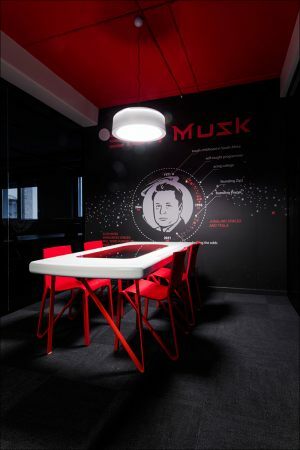 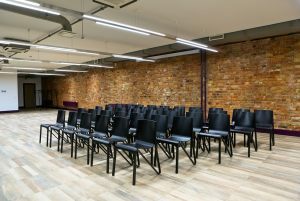 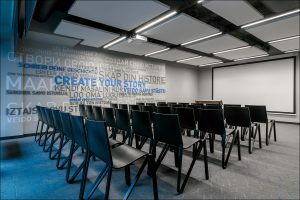 Kurbads is a transport and logistics company from Latvia and our Frame chairs are being used in their office conference, lounge and dining areas for many years. 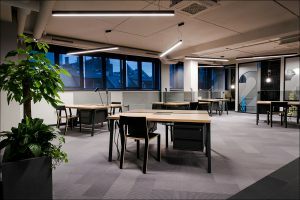 “Since the very beginning of our company we have been striving for excellence, and we can be proud of the result – modern lighting, excellent ice quality, which was also appreciated by the best ice hockey players in Latvia. 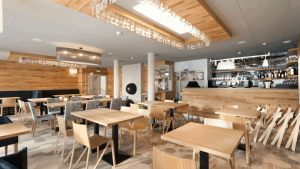 The hall is arranged in a particularly cozy style, with a fireplace on the second floor and a beautiful gastro-pub ‘Ūsiņš’, where you can have a delicious meal. 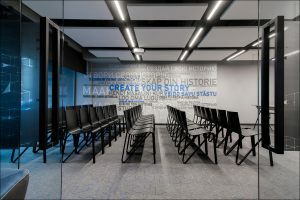 Currently, the hall is home to Latvian ice hockey champions HC Kurbads, Kurbads’ children team and youth sports school, as well as several amateur hockey teams.” says Kurbads. 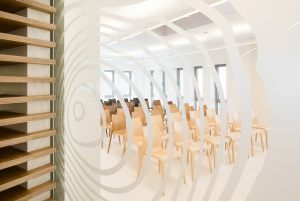 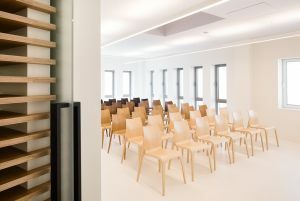 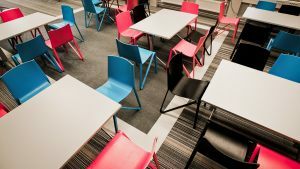 Zesty chairs were chosen for the Leppävaara campus of Laurea University of Applied Sciences in FInland. 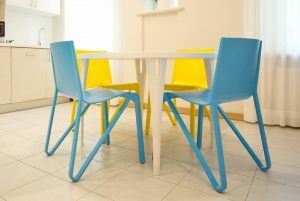 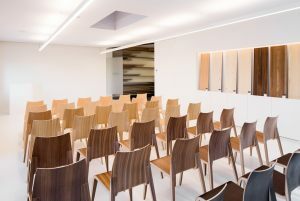 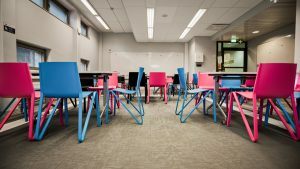 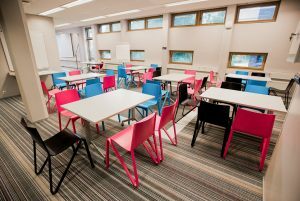 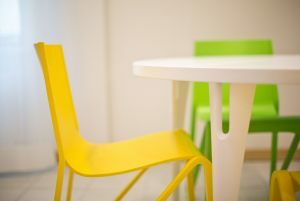 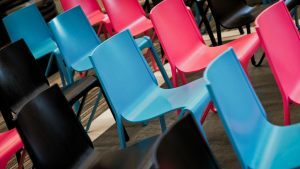 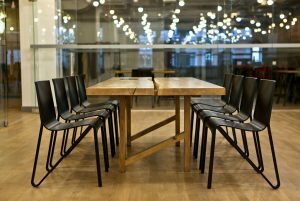 Pink, blue and black pigmented lacquer finished chairs for a learning space are great looking and practical choice – easy to move and change the setup and mood of the room for a particular event. 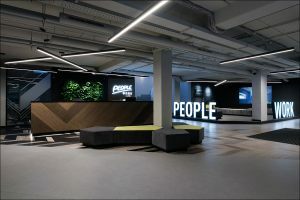 People Work co-working space in Riga, Latvia. 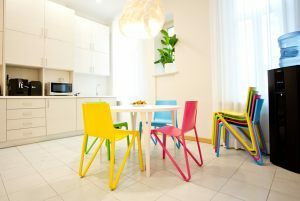 Interior design by Baiba Giniborga-Asere and Ramona Cīrule.